The city of Venice is famous and unique for its structure alone, which extends over approximately 120 islands separated by numerous canals all connected to each other by over 400 bridges. Consequently, urban travel is almost exclusively carried out on water (motorboats, public water boats, gondolas and private boats). In the historical centre, heavily depopulated (less than 60000 remaining residents) tertiary activities prevail: administrative functions and industry connected with the powerful tourist business. The artisan industry (glass and souvenir etc.) is also mainly linked to the tourist influx (approx. 3 million people yearly), giving rise to many cultural activities, amongst which the Biennale d’Arte, also connected to the International Festival of Contemporary Music and that of prosa, the Mostra del Cinema, (the first showing of new films), the Premio Letterario Campiello, (Literary award), the musical seasons of the wonderful Fenice theatre, which re-opened in November 2004, having been restored and renovated after it was destroyed in the disastrous fire of ’96. The lagoon area was already inhabited from the migration of Entroterra (569-637) due to the descent of the Longobards on the Padanan plains. Inserted in the Exarcate (Proto-Romanesque period) of Ravenna, allowing the city to be governed through the patriarch of Aquileia, Venice became autonomous, establishing ruling by the Doges (the first Doge was Paoluccio Anafesto, 692). After the fall of Ravenna (751) and the attempted annexation by Carlo Magno (810), the nuclear town (Venetia) was constituted, beginning its mercantile expansion in the Adriatic, in competition with the Dalmati and Muslims. Under the rule of Doge Orseolo II (991-1008), Venice established its dominion, then good relations with the German and Byzantium empires. Due to this, the city assumed a prestigious, political and economic position, allowing it to overcome the battle between the Papacy and advancing empire of the Normans in the lower Adriatic (11-12th Century). Availability on request and secure on line bookings! A b&b nestled in the peace of a wood few kilometers from Venice and Padua, nearby famous Riviera del Brenta. The b&b is equipped with turkish bath and hydromassage; chromotherapy and aromatherapy among the services. Venice Italy Guide to discover museums and exhibitions, hotels and restaurants. 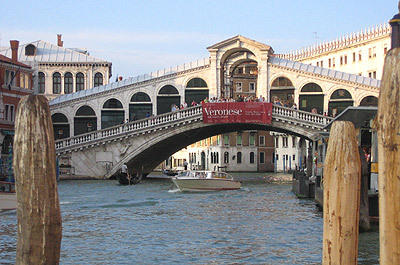 Venice hotels guide to choose your hotel, B&B and apartment in Venice by location, fee or category: secure bookings. Flats in Venice for short rental period in all the districts of Venice and Lido: secure on line bookings. Venice b&bs, hotels, flats for short rental period in all the districts of Venice and Lido: secure on line bookings.